My favorite thing about fall fashion is all of the basics. It will be a rarity if you see me in anything other than a simple sweater and jeans. Because I am such a #basicwhitegirl when it comes to my fall outfits, I always try to add pops of pattern- whether it be with a blanket scarf or a fun pair of shoes. 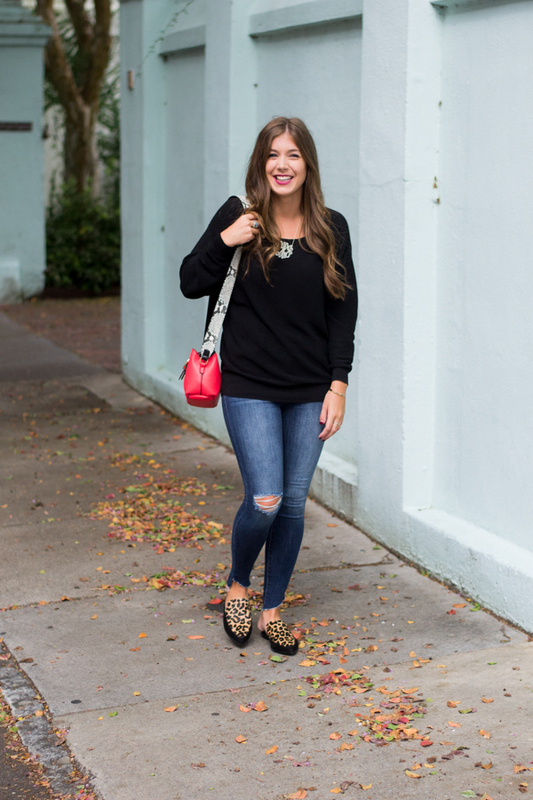 In today's outfit, I decided to go with a leopard print shoe and a fun purse! 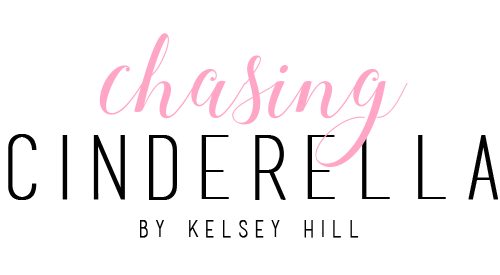 I'm a huge fan of pattern mixing during fall, so you will definitely be seeing some more patterns over the next couple of months! My favorite thing about fashion period is basics. 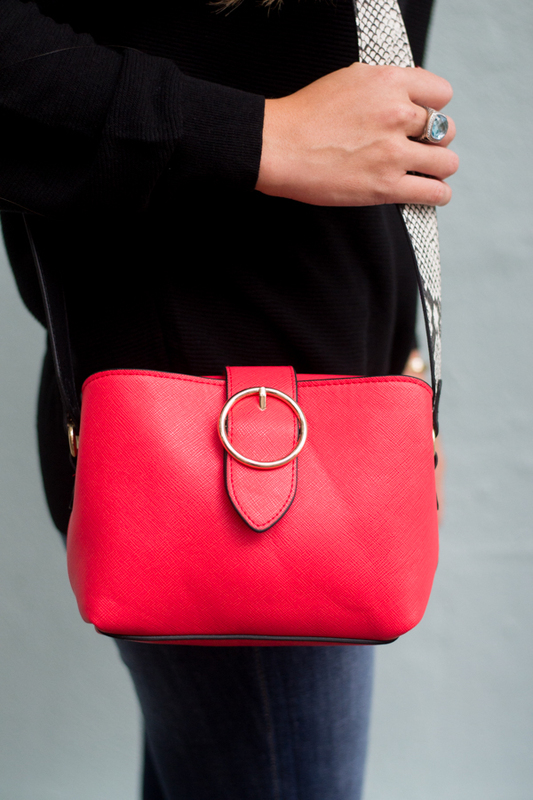 I adding a pop of color, patter, or shine to any basic. And you worked it with those shoes and purse. I love that sweater! 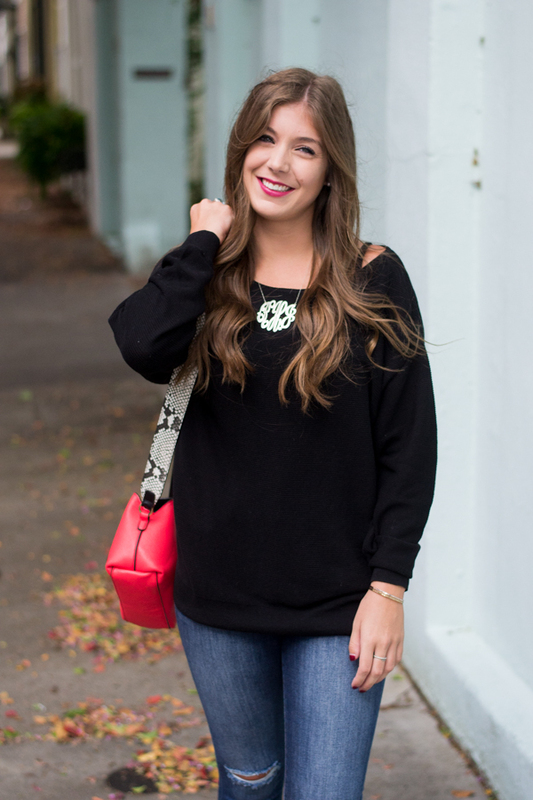 Fall fashion is my favorite because of shirts like that! 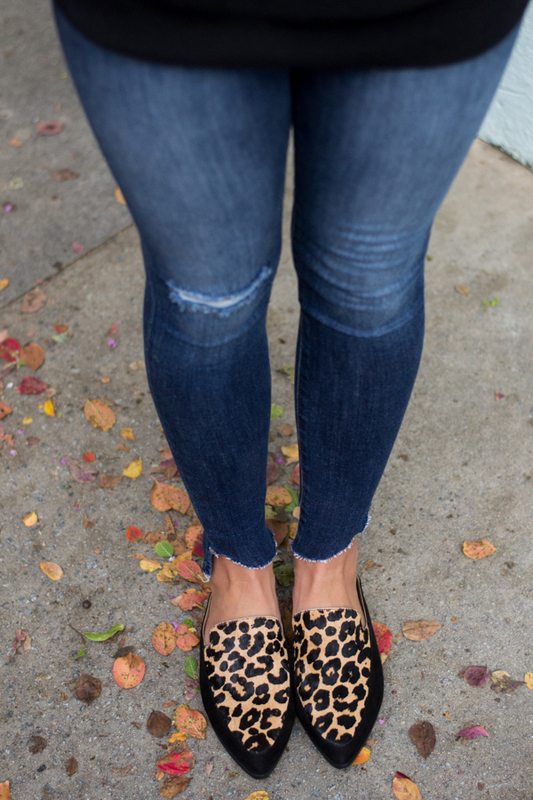 Love this look - especially those leopard loafers! 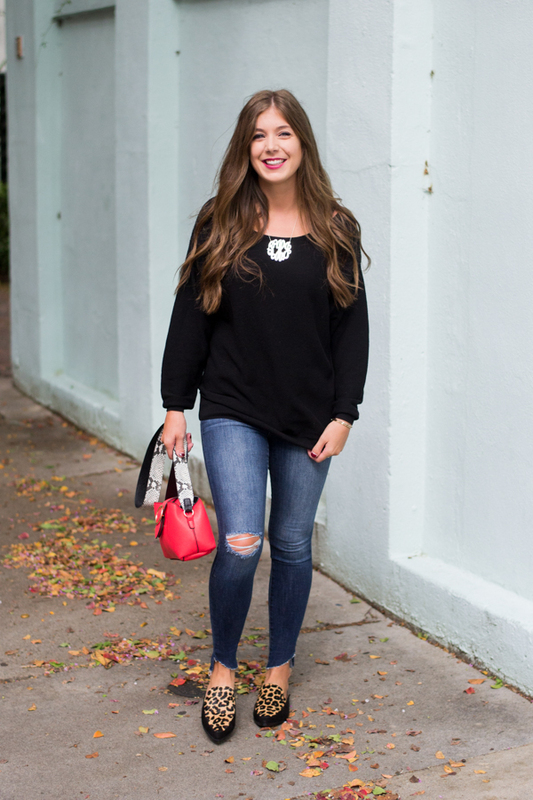 I am loving that sweater, those shirts for fall because they're perfect for the fall time and transitioning into the cooler months. 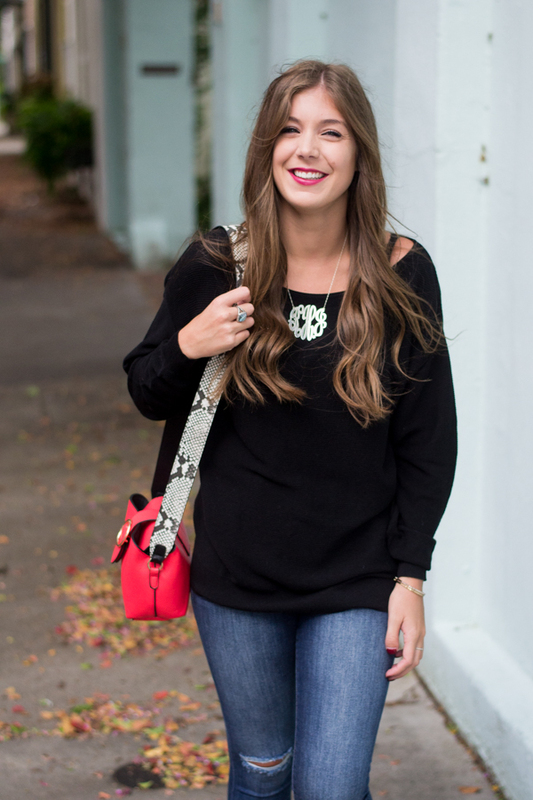 I'm like you - the fall basics are my favorite! 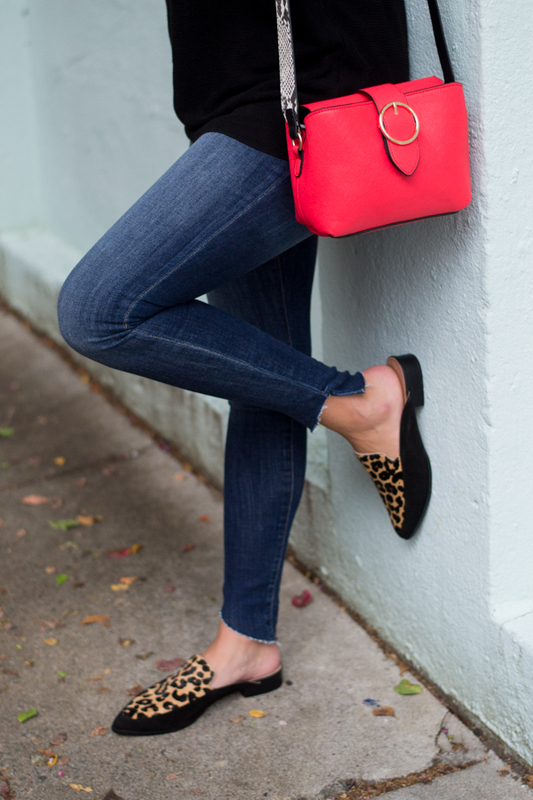 Then when you add that pop of color or fun pattern with your bag or shoes, they really stand out :) Love this! 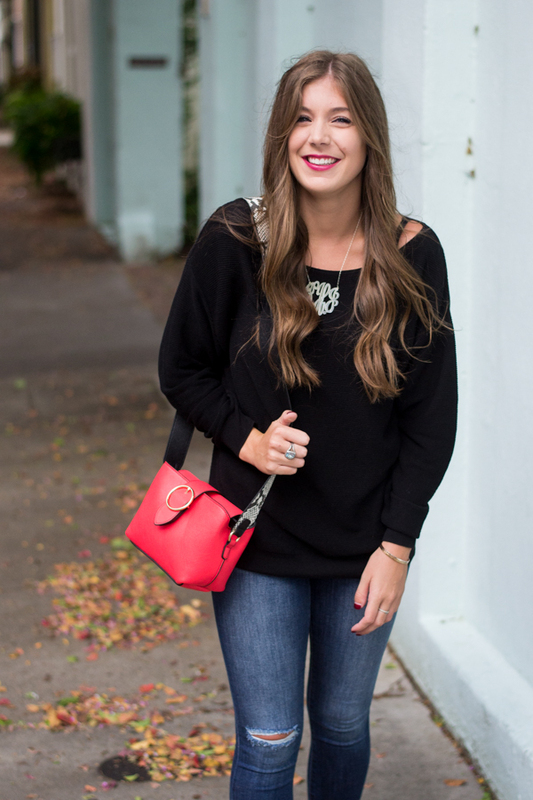 Fall is all about those big cozy sweaters for me! You look so cute! And I love the idea of adding little pops of pattern. Adorable look gal! Your hair looks amazing! 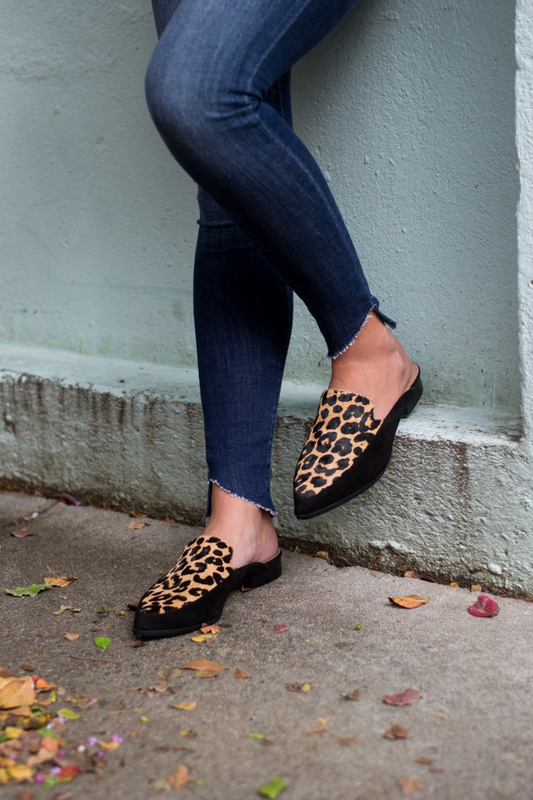 I have a feeling that the leopard shoe is going to be my favorite fall accessory. It's the perfect pop of pattern! 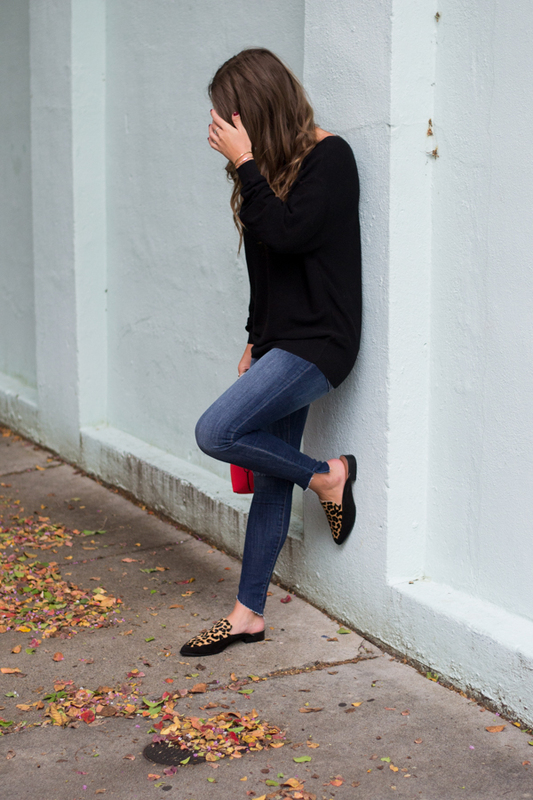 Leopard + red + black is my go-to outfit right now. 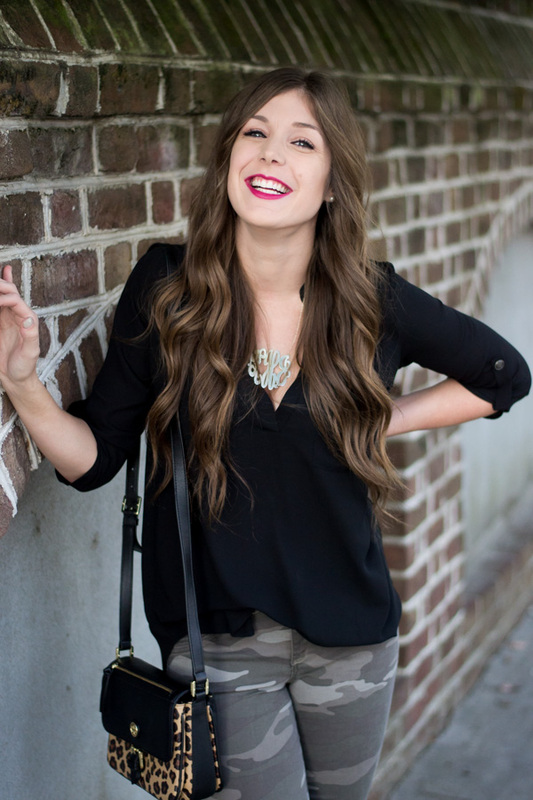 It's sassy and perfect for fall! How cool is that animal print pattern mixing?! My two favorite animal prints none the less! 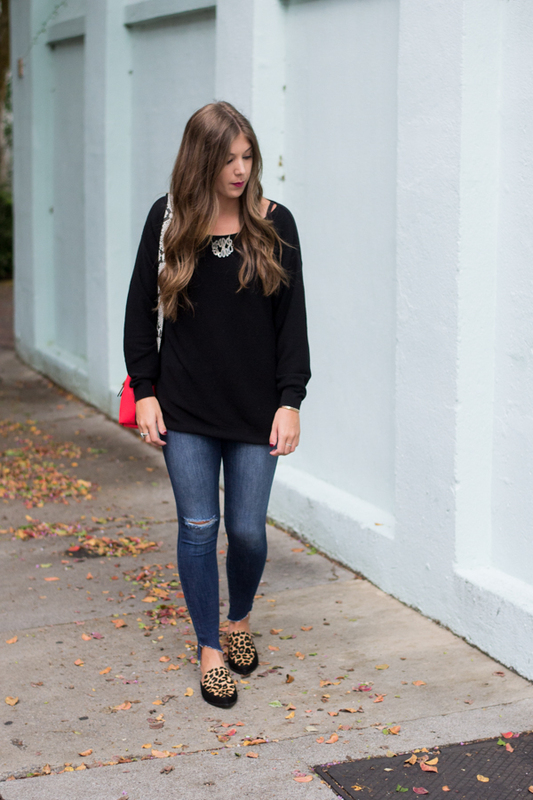 I love these leopard slides and that's my favorite necklace! Super comfy and stylish look! Love the combo!